Audio Elegance: Sound Elevates The Experience at The John F. Kennedy Center For The Performing Arts. 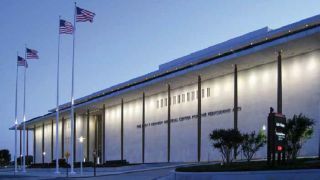 The John F. Kennedy Center for the Performing Arts and HARMAN International Industries have extended their longstanding relationship with a multi-year partnership including the addition of HARMAN’s audio and lighting products supporting The Kennedy Center’s ambitious expansion project. As part of the expanded relationship, HARMAN becomes the official sound of The Kennedy Center. JBL Professional speakers, AKG Acoustics microphones, Crown amplifiers, AMX receivers, digital lighting from Martin and sound editing equipment from its Soundcraft, BSS Audio and dbx brand will continue to amplify and elevate the more than 3,000 productions, performances and classes that take place each year at the nation’s busiest performing arts center and living memorial to President John F. Kennedy. Highlights of The Kennedy Center’s first major expansion since opening in 1971 include the addition of 72,000 square feet of new public access spaces with open rehearsal studios, dedicated education spaces and social spaces such as a convertible café and outdoor gardens. Other features include an outdoor video wall where performances can be simulcast, an outdoor performance space and multi-purpose spaces for the Center’s extensive programming, performance and arts education offerings. The expansion project will attract more international performers and productions that require dynamic in-house lighting equipment for their shows. To date, $150 million has been raised under the Kennedy Center’s “Building the Future” campaign, which is contributing vital funds to support the Center’s expansion project.